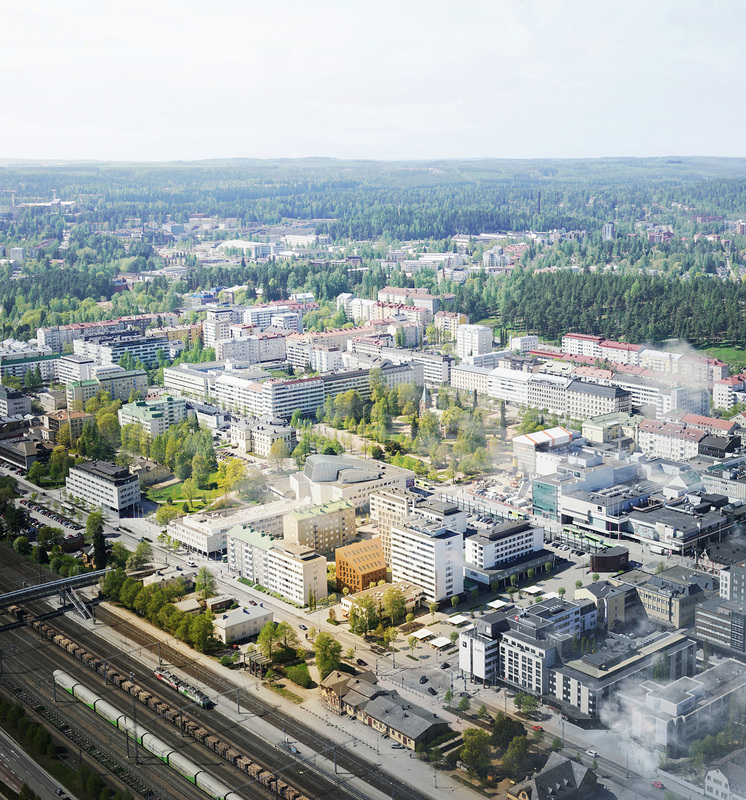 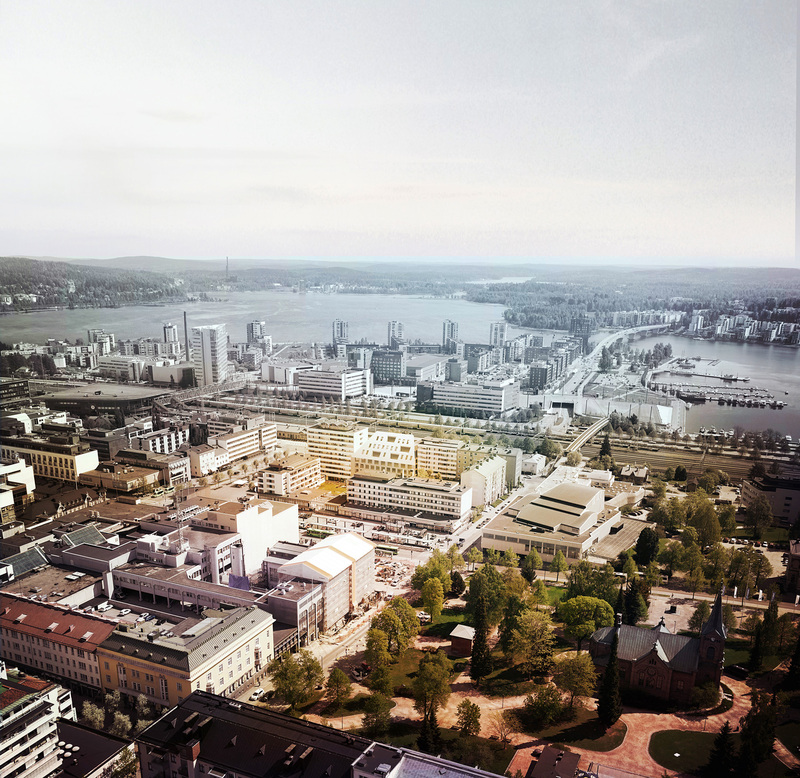 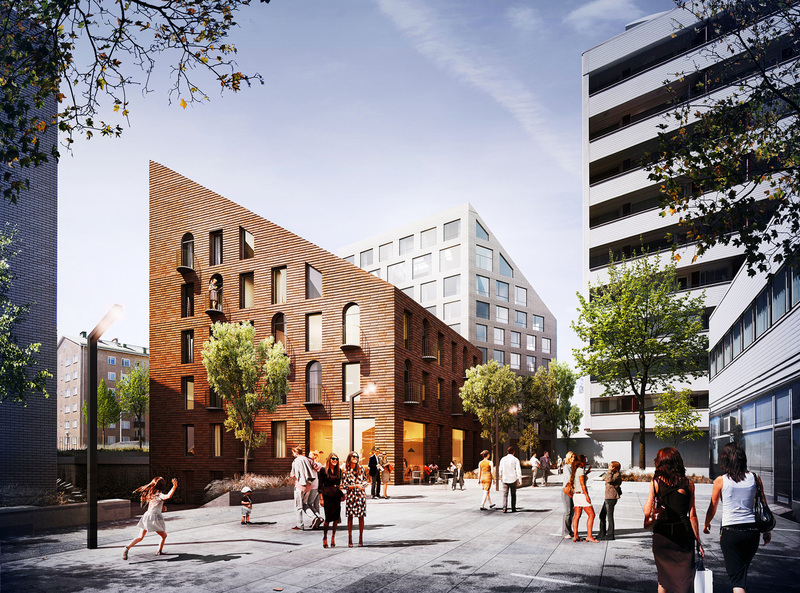 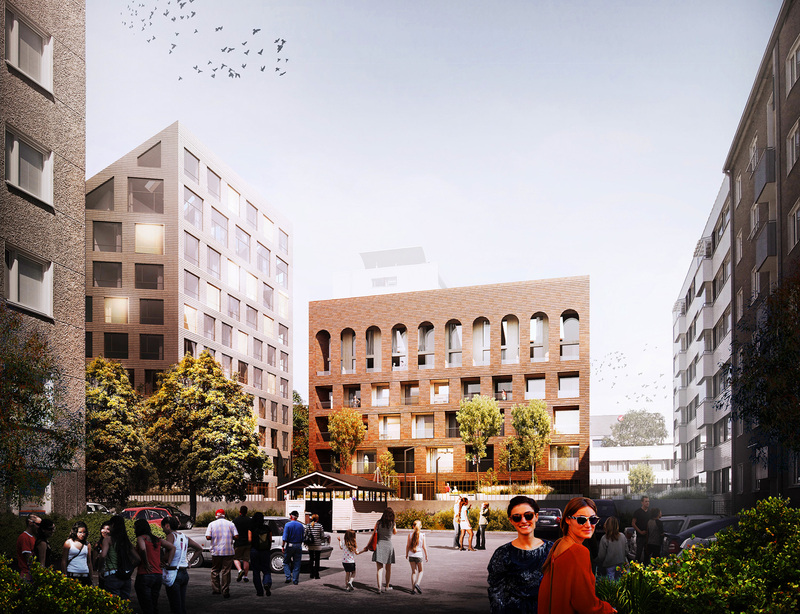 The competition entry proposes a ‘New Tune’ to the development of Jyväskylä city downtown. 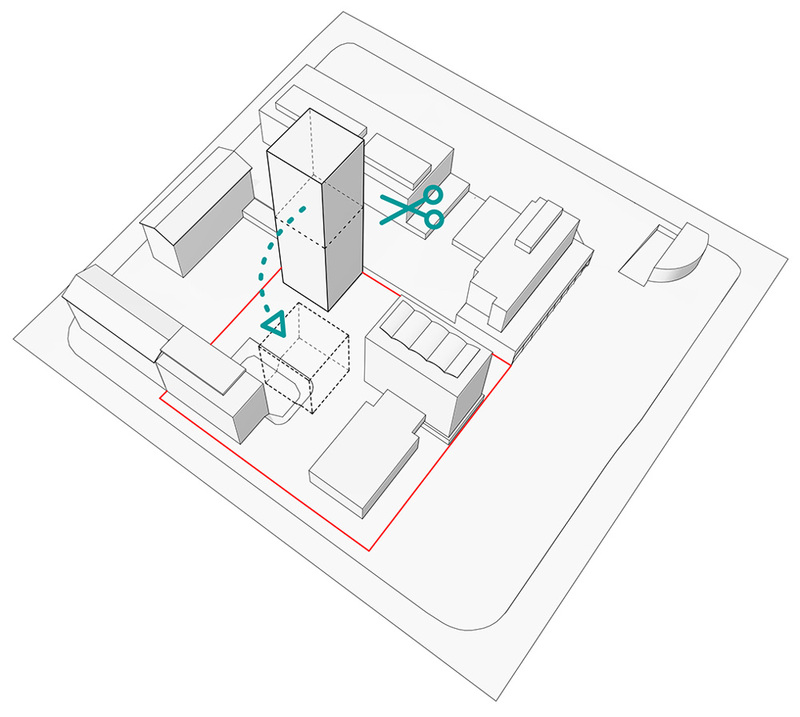 The composition of two sculptural and solid masses in Hannikaisenkatu 27-29 has a modern and strong identity, yet it respects the current landmark – Milton tower and the scale of existing city block. 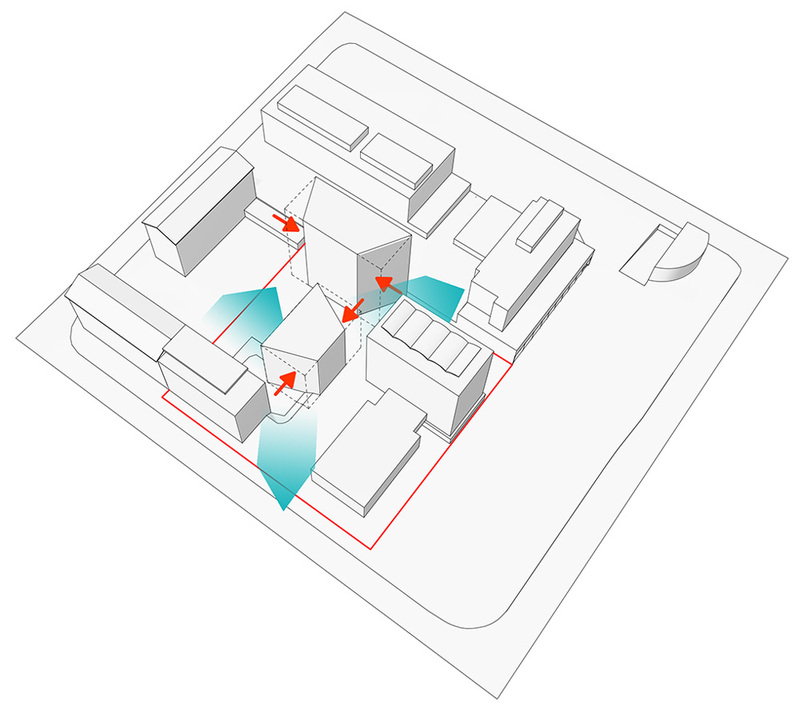 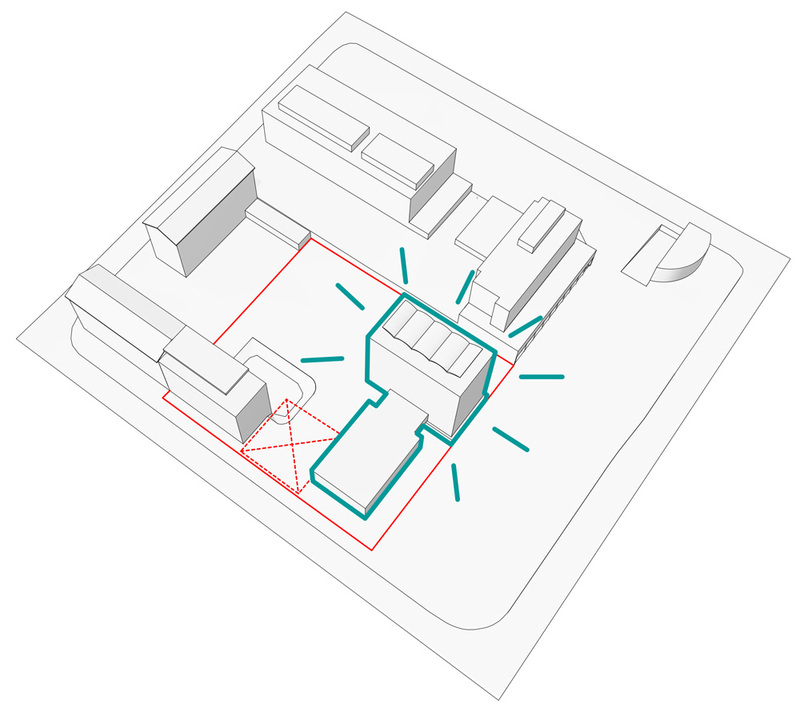 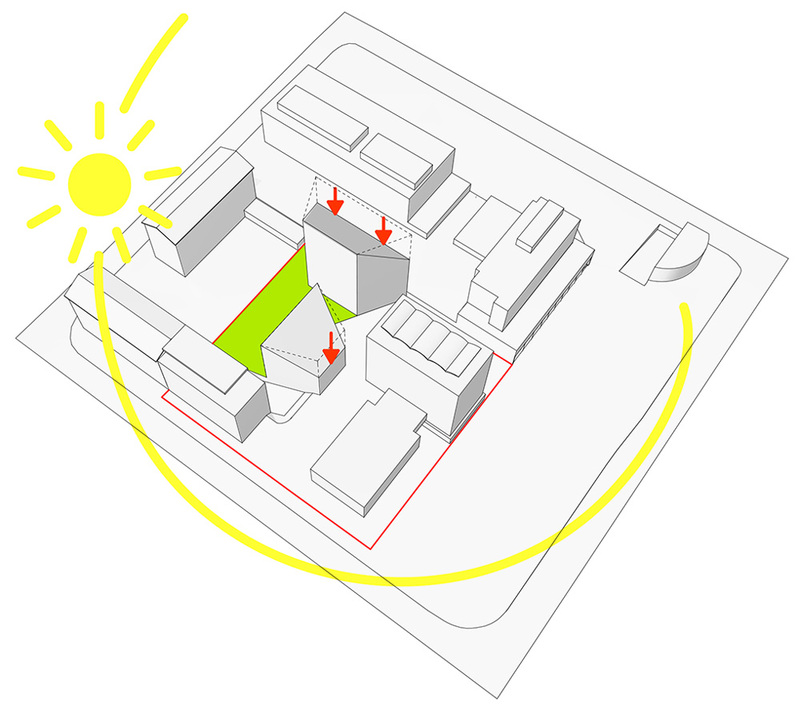 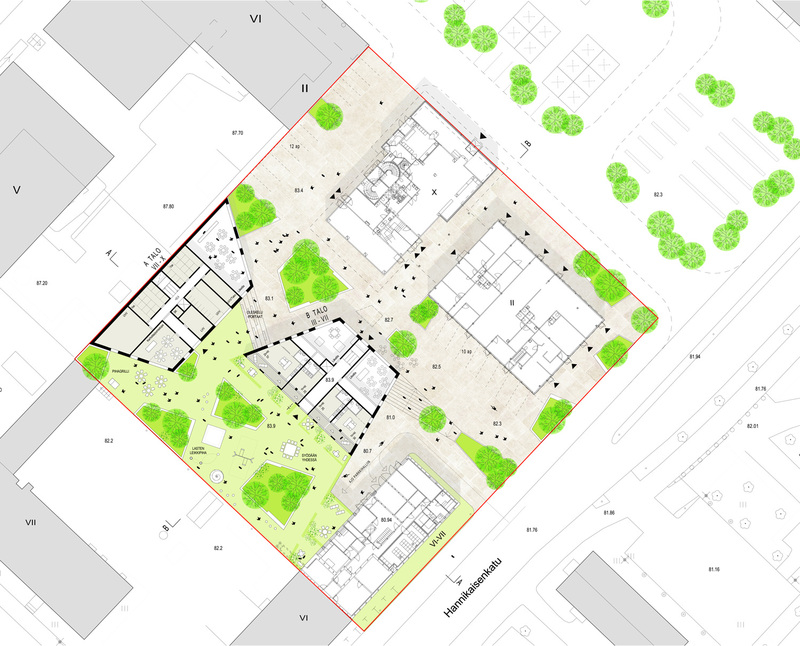 New building volumes skilfully reshapes and activates existing courtyard with a new semipublic city square while still providing a more private, west facing, garden for the new residents. 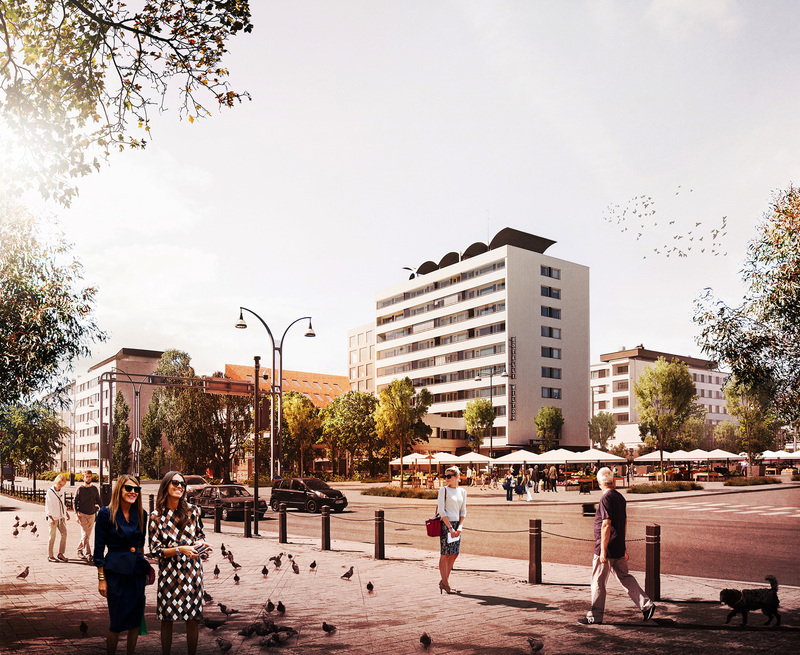 Apartments are carefully designed to offer comfortable and high-quality living space in the middle of the downtown Jyväksylä. 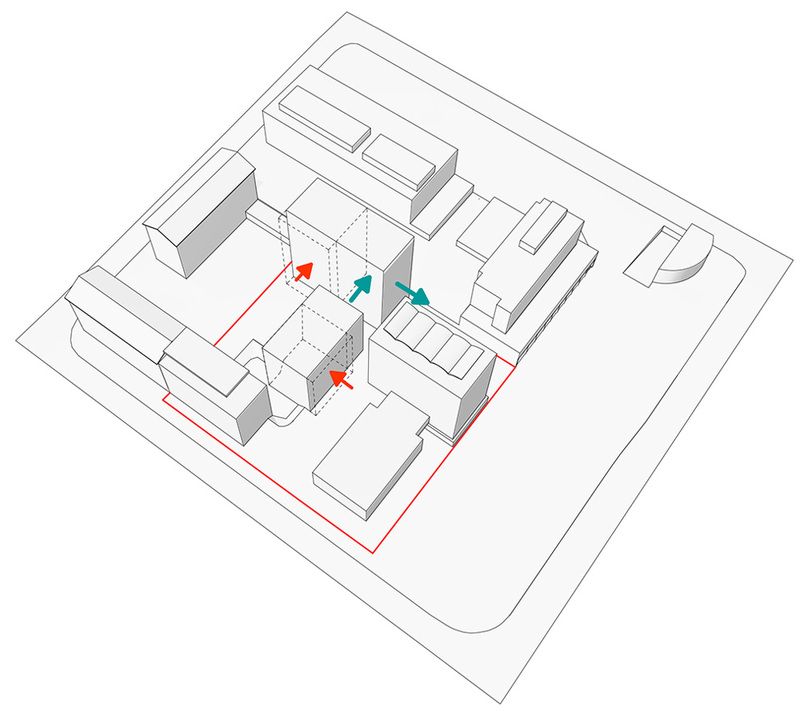 Slanted upper floors are benefited in creating luxurious two-story loft apartments.